We needed heavy duty storage for a variety of specialty papers. We had a old apple crate. 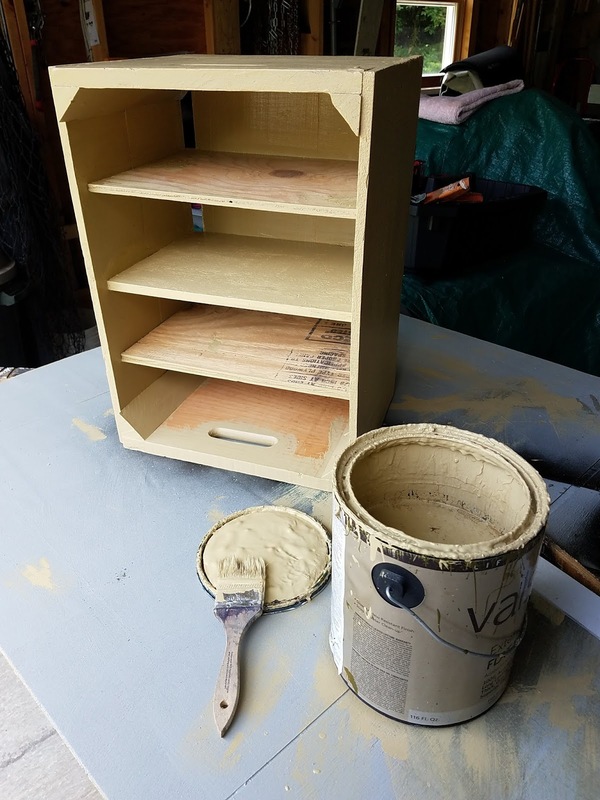 With a nice finish of butter yellow flat exterior from the Home Depot Oops Paint pile to clean up and cover-up on the plywood scrap used for shelves.